Floral is feminine, flirty, and perfect for every scarf lovin’lady! 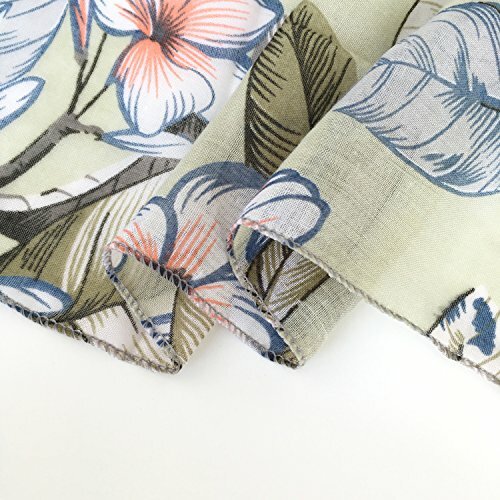 This blooming print is gorgeous in the springtime and the perfect cheery addition to your gloomy winter wardrobe. 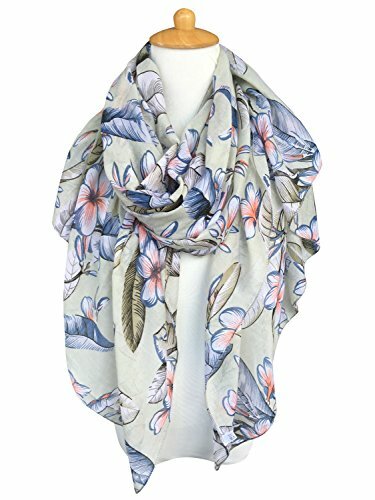 Check out our selection of pretty flower prints, and pick one, two, or three to add to your beyond-lovely scarf bouquet.- Size: 70.8″x35.4″ (180CMx90CM). 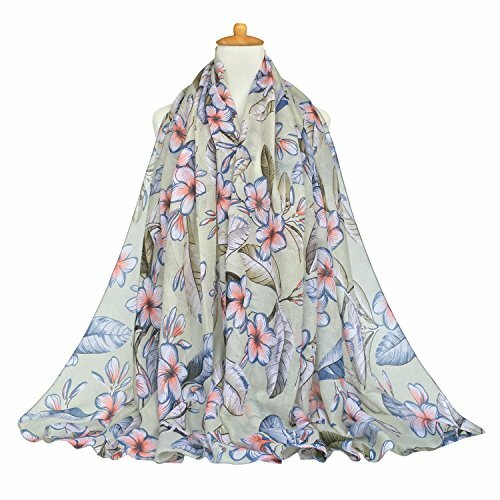 – Nice long scarf with pretty floral, sewn from lightweight and soft viscose fabric, can be worn all year round in all weathers. If you are looking for something different and fashion, this is it !!! Fashion floral print pattern on the fabric! Just lovely … Very lightweight and nice, perfect for any occasion! NOTE: Please wash before you first dress because there maybe exists a little floating color. But rest assured that it will be ok after your first washing.